Anaida is someone who I consider a dear friend. She is from Moscow, Russia and has the warmest heart of anyone I have met in a long time. I wish I had a picture of us together. She was such a joy to have in classes, she got along with everyone. Anaida, are you out there? Can you send me one in an e-mail? Anaida is a mature woman, in her fifties. I met her one day in one of my classes. She came up to me and asked if she could use a Russian English dictionary on the exam. She was just learning English and here she is in the USA taking college level courses. Certainly I would not be able to do anything remotely similar in her country. I would be lucky if I could order a cup of coffee let alone take a college level course. It took her a couple of times, but she passed the exam and progressed to culinary lab classes. I had the pleasure of having her in my Advanced Cooking class last fall. To Anaidas credit, some native English speakers have a hard time grasping some of the concepts the class she was in. Let alone learning a complex subject in a language you are just learning. She inspires me to keep progressing in my French lessons. 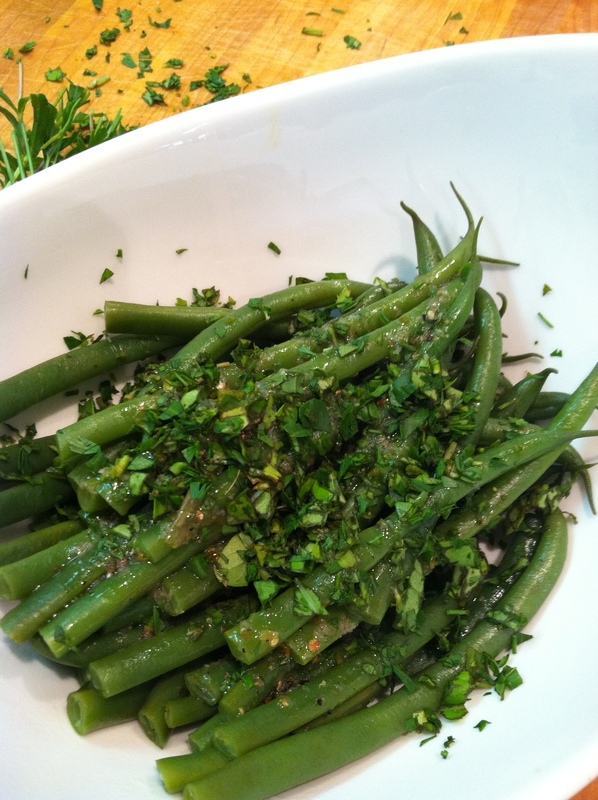 Anaida shared many of her native cuisine recipes, one of my favorite is her recipe for green beans, which is included here. 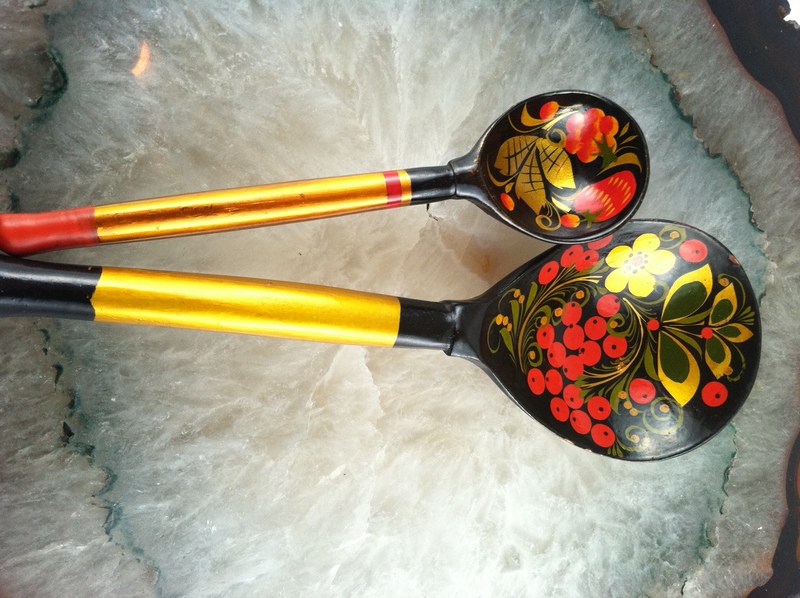 the toothpick holder, an apron, shawl all very nice things I hold dear and use daily. Well, I use the shawl in the winter. It is Russian made and I think it contains magic warmth yarn as it keeps me nice and warm in the cold. Lordie knows, it gets cold in Russia! Anaida returned to Moscow as her visa required as well as her international student status. She often returned to Russia between semesters and brought us back lovely gifts and made the most tasty pastries she shared with the office. Anaidas dream was to get into the bakeshop class at the college, which she was registered and ready to do this fall. Only one hitch in the get-along. The State Department declined her student visa based upon concern about Anaida returning to Russia as some point in the future. Since she is retired, they are doubly concerned. Anaida’s daughter lives here and teaches. This summer she got married to the love of her life, a kind German man. Eventually they are going to move to live in his home town in Germany. Being Anaida only daughter, I doubt Anaida would choose to live so far away from her daughter especially when grand-babies come around! Even knowing this, they still decline her access to return. Could it be the recent change of power to Putin? Or is someone in the state department just having a bad day? In the meantime, Let’s make Anaida’s beans. 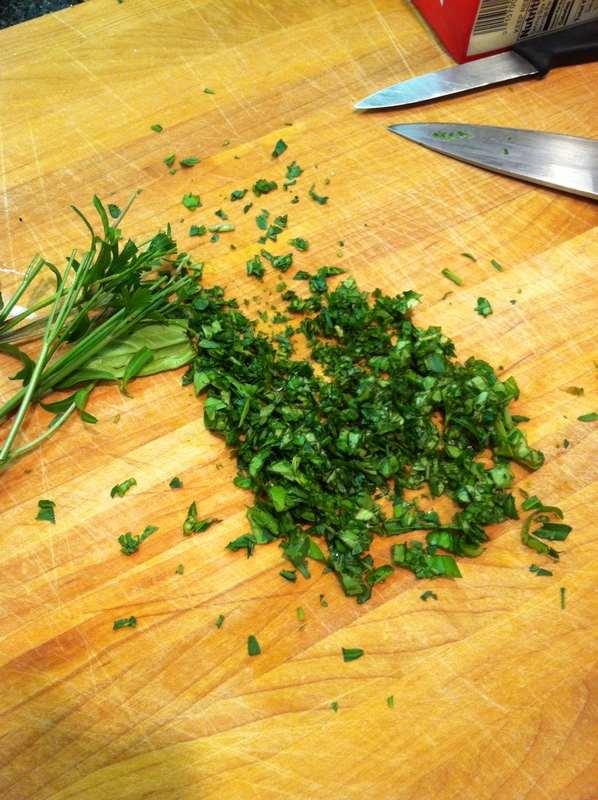 Chopped herbs, use the combination you like best. Start with equal amounts of each fresh herb. Use the amounts you like, equal of all three, more basil, or more tarragon, what ever you prefer. If you don’t know, start with equal amounts of each, chopped together. Steam the beans until done, about 5 minutes. Mix the oil, vinegar and minced garlic in a bowl. Whisk briskly to combine. Mix oil and vinegar. I added a few herbs, but you don’t have to. 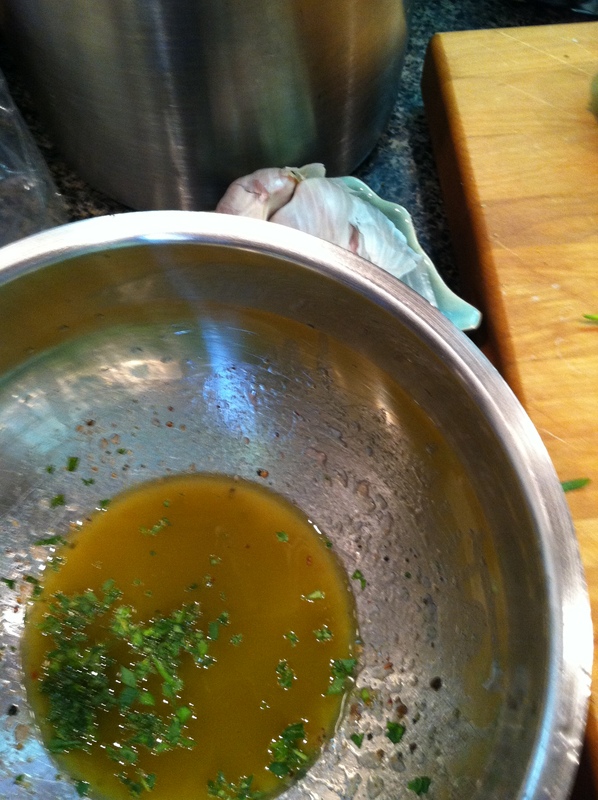 Any vinaigrette and chopped herbs left over can be used for salad dressing later. Just combine whatever dressing and chopped herbs left and you have a nifty herbal vinaigrette. When the beans are done, just before serving, dress the beans with a light amount of vinegar and oil. Top with the chopped herb mixture. Only use enough of the dressing to lightly coat the beans. Dress them just before serving to preserve the bright fresh green color. These beans are simple but full of flavor. I love this recipe! Wouldn’t these go nicely in a Salad Nicoise? This entry was posted in Cooking, Cooking Thoughts, Recipes, Teaching Culinary School, The Life of a Chef and tagged cooking. Bookmark the permalink. Thanks! I hope you try them, they are really good. The green beans stayed a nice color of green. As you say, perfect in salad nicoise. Guess what I am having for lunch! this story is so moving. let’s hope she will have better fortune in Germany…. 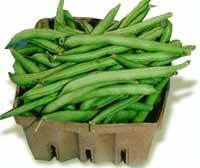 I make very similar green beans, only I add also garlic. so nice of you to write an entire post on a former student. you are truly a sweethearth! I hope she can return and finish her degree. Thanks, Barbara. I had no idea. I’m so upset. Do you have her email in Russia? I got an update this week; She’s BACK! I’m working on a post now.